Add a group of high-achieving individuals to the mix. Their academic experience is intense ­— a quarter system with 10 week terms, because who has time for syllabus week? The stakes are high, because they’ve worked hard to get into the school and they need to work even harder if they want that J.P. Morgan internship. But also remember that these students are social beings, so they’re not just occupied with studying. Think back to frat row. Students take a break from their economics finals, Spanish papers and history theses to blow off some steam on the weekends. There’s a deep reverence for the game of pong, an ongoing series of fraternity parties and a termly “big weekend.” With few off-campus social spaces, it is pretty much expected that one can step into a fraternity basement to check out what these students are up to — and to see whether the intensity of their partying matches the intensity of their study habits. Andrew Lohse ’12’s “Confessions of An Ivy League Frat Boy” paints a picture of the school as being little more than a playground for future Goldman Sachs executives — a place where preppy frat brothers ace economics midterms by day and morph into beer-guzzling animals by night and a place with Greek houses in which the future corporate leaders of America shake hands over games of pong and exchange stories of their sexual conquests. Dartmouth has been touted as epitomizing the downfalls of the Greek system and a nationwide epidemic of binge drinking and excessive partying. Add its Ivy League status, and you get denunciations of privilege and a condemnation of the “Dartmouth mentality” that keeps students studying hard and partying harder with little regard for the consequences of their actions. To what extent are the stereotypes that surround life at Dartmouth true? I talked to a few students to gauge whether this “work hard, play hard” reputation is accurate and to see how individual students might find balance in a culture where social and academic pressures can be high. Isabel Taben ’19 is an affiliated student athlete at Dartmouth, which means that she has to find time to balance lacrosse, clubs, her sorority and her social life. Taben said that striking the right balance can be difficult, and it’s taken her most of her two years here to figure out how to effectively manage her time. For her, the fast-paced nature of the quarter system makes it particularly challenging to juggle athletics and academics. It seems unrealistic to assume that Dartmouth’s culture varies drastically from its Ivy League counterparts or from other schools across the country. It’s easy to criticize Dartmouth, not only because the school is so classically “college,” but also because the extremely campus-focused nature of Dartmouth makes any issues that exist at Dartmouth particularly visible. However, Dartmouth students — like any college students — seem more focused on finding balance between work and play than pursuing extremes on either end. Of course, Dartmouth’s “work hard, play hard” reputation is not unfounded in that the College is a top academic institution with one of the highest levels of Greek affiliation in the country. In this way, the negative press that Dartmouth has received in recent years has been effective in drawing attention to issues that can accompany privilege, Greek life and an epidemic of binge drinking. However, while criticisms are valid and may indeed be amplified by the specific conditions at Dartmouth, they represent issues that exist across universities and Greek systems nationwide. They certainly should not be isolated to Dartmouth alone. 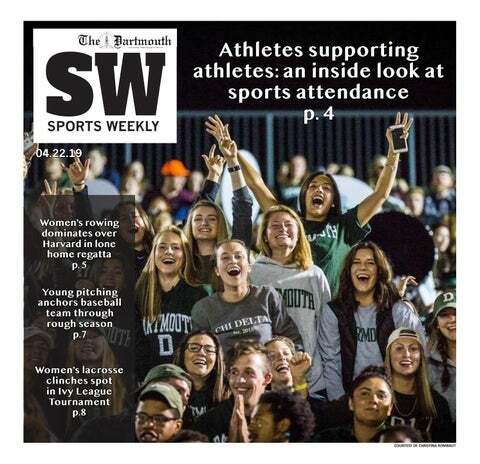 It is also important to remember that Lohse’s portrait of Dartmouth — and the negative media attention that it sparked — caricaturizes Dartmouth students and ignores the diversity that exists within the student body. The portrait of the Dartmouth student as corporate-obsessed, diligent library goer by day and hard-partying frat brother by night may be as dramatic as it is overly simplistic.